Constipation, Hyperacidity with constipation, Anorectal disorder, Post-operative constipation, Constipation associated with chronic cholecystitis. Adults: 15-30 ml before breakfast or at bedtime. Children: Over 7 years: 7.5 ml-15 ml at bedtime. 3-7 years: 5-10 ml at bedtime. It is not recommended for children under 3 years. The dose may be mixed with milk or half a glass of water if desired. Rectal irritation, potassium loss (thirst, weakness, nausea and diarrhea). Blood levels of magnesium can be increased in patients with renal hypofunction. Do not use for more than 7 days unless it deems the treating physician. If recommended doses are exceeded or if used for long periods this product can cause diarrhea. No clinical data is available about its safety during pregnancy. 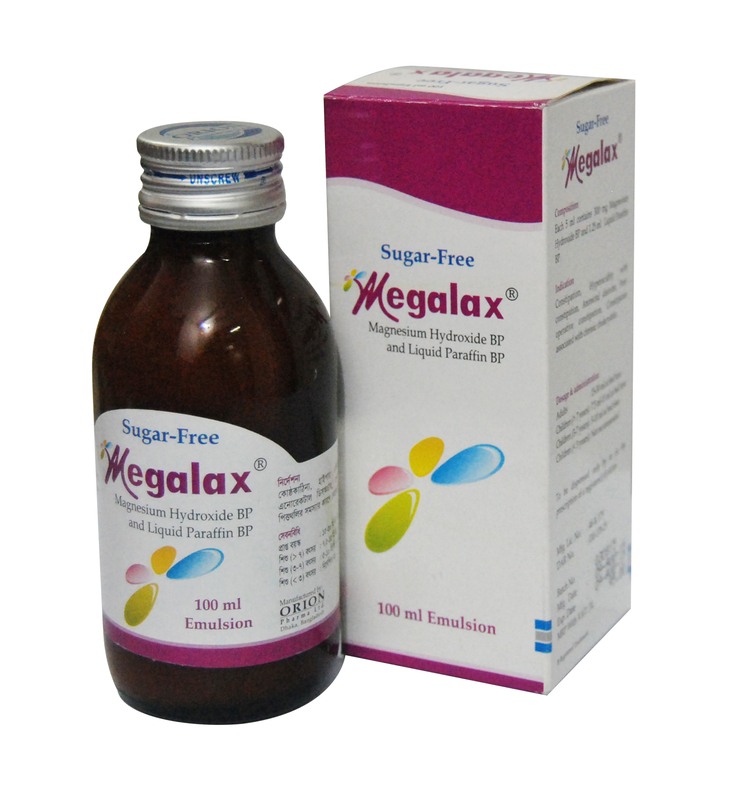 Its use during pregnancy and lactation is the opinion of the doctor. Cimetidine, Diuretics, Famotidine and Ranitidine may cause irritation of stomach or bowel. Recently it has been shown that using Liquid Paraffin could interfere with the absorption of liposoluble vitamins. Each bottle contains 100 ml of emulsion.